When a tragedy such as a fire occurs, the emotional and physical effects are overwhelming. 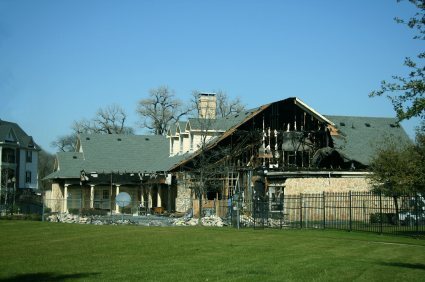 Let the professionals at West Coast Restoration Inc handle your fire damage cleanup and restoration so that damage to your property is addressed safely and promptly. We at West Coast Restoration Inc are the leading fire remediation experts, providing fire damage restoration since 1990. While you tend to your family, we will tend to your house or business establishment. West Coast Restoration Inc's highly skilled fire and smoke damage technicians use state of the art equipment and proven methods to clean up soot and smoke, deodorize your fire damaged home, and restore your property to its pre-fire state. After the cleanup we will repair or replace your floors, walls and ceilings to remove all traces of the fire. Call West Coast Restoration Inc at (714) 584-4894 and talk to an experienced fire restorers can get you back in your home as soon as possible. Talk To A Fire Damage Specialist Now! Avoid Insurance Hassles with West Coast Restoration Inc! 1. Assess: Immediate service to evaluate the damage and determine a course of action. 2. Remediate: Remove hazardous effects and odors. 3. Restore: Repair or replace flooring, carpets, walls, ceilings, mouldings, windows, doors, and paint. A fire is devastating enough, and West Coast Restoration Inc knows you don't want to risk the safety of your home or the health of your family any further. Fire damage cleanup must be done properly. West Coast Restoration Inc can perform the fire damage remediation to ensure that your home is free from toxins and safe to occupy once again. When synthetic building materials and furnishings catch fire, the release of deadly gases are emitted as chemicals burn off in carpets, furniture and even wood finishes on cabinets. Traces of smoke, soot and water damage can cause health problems due to mold, bacteria and the release of these toxic chemicals. West Coast Restoration Inc are specialists at detecting and neutralizing hazardous chemicals and toxic odors from fires. Our 29 years give us the knowledge and experience needed to eliminate these hazards and restore your property to its previous safe condition. Avoid possible future health issues and contact West Coast Restoration Inc at (714) 584-4894 to start on your fire damage restoration today! Installing a sprinkler system won’t prevent a fire from occurring, but ensuring they are properly maintained and fully functional should a fire occur is imperative to you, your environment and family. Did you know you should have your fire sprinkler system fully inspected at least four times each year? Fire sprinkler systems, whether in your home or commercial building, are prone to microbial corrosion and rust, resulting in pinhole-size leaks, the pipe walls to thin and sometimes even the sprinkler system to fail. In order to ensure your sprinkler system is functioning as it should be, inspection and maintenance are required on a frequent basis. West Coast Restoration Inc offers fire sprinkler restoration to both homes and commercial buildings which include fire sprinkler clean up, fire sprinkler damage, hotel fire sprinklers, home fire sprinkler systems, fire sprinkler malfunction, and more. Just call (714) 584-4894 to learn how West Coast Restoration Inc can protect you when you need us most!